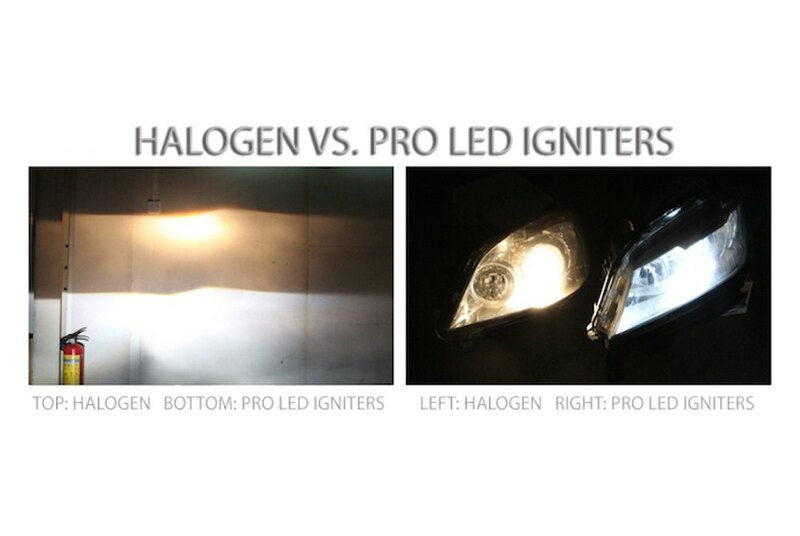 Introducing Plasmaglow PRO LED Ignitors: A complete LED Headlight Conversion Kit for your vehicle. Plasmaglow PRO LED Headlight Conversion Kits are the result of years of planning. Significantly brighter than original halogen bulbs, Plasmaglow LED Headlights offer a cleaner and crisper light (no more dull yellowish light) while putting off almost no heat and using only a fraction of the energy. Built in reflectors and an anti glare design directs light into your driving path where you need it most. USA Made CREE LEDs with over 2,400 lumens output and a temperature rating of 5700K. 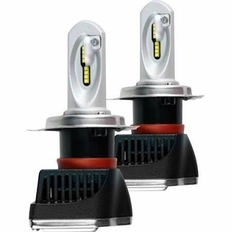 Plasmaglow LED Headlight Conversion Kits are plug and play (as long as you order the correct size). Everything you need is included and the price is for a PAIR (both sides). If you are not sure what size bulbs your vehicle uses, please consult your owners manual for your vehicle before placing an order. The part number for this Plasmaglow LED Headlight Conversion Kit is H1-LED-PRO and it fits all vehicles that use an oem H1 sized bulb.